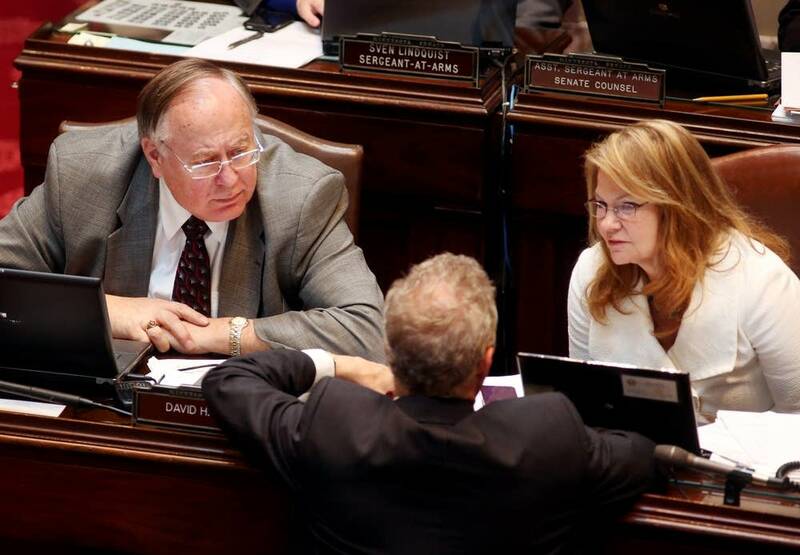 Under the strain of a mental health care system that needs more beds and other capacity, county officials want state lawmakers to make funding a priority in the upcoming legislative session. Mental health workers say the treatment system has gaping holes at the "front door" and the "back door." The "front door" is where people go when they have a mental health crisis, often a hospital emergency room. "At any given time, we could have five of our 16 emergency room bays occupied by long-term behavioral health patients that are waiting to be placed somewhere," said Joy Johnson, vice president of operations at Sanford Health in Bemidji. 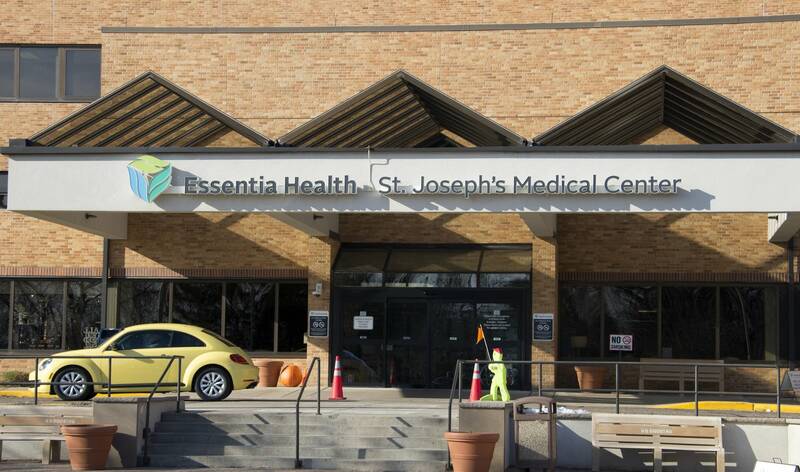 "We don't really staff our ER to have permanent overnight three-, four-day stays with behavioral health patients because that's not what it's designed for." • Related: Can online mental health therapy aid workers and curb costs? Those patients are stuck in the emergency room because there are no open beds at facilities that could treat them. The same thing happens in counties across the state. 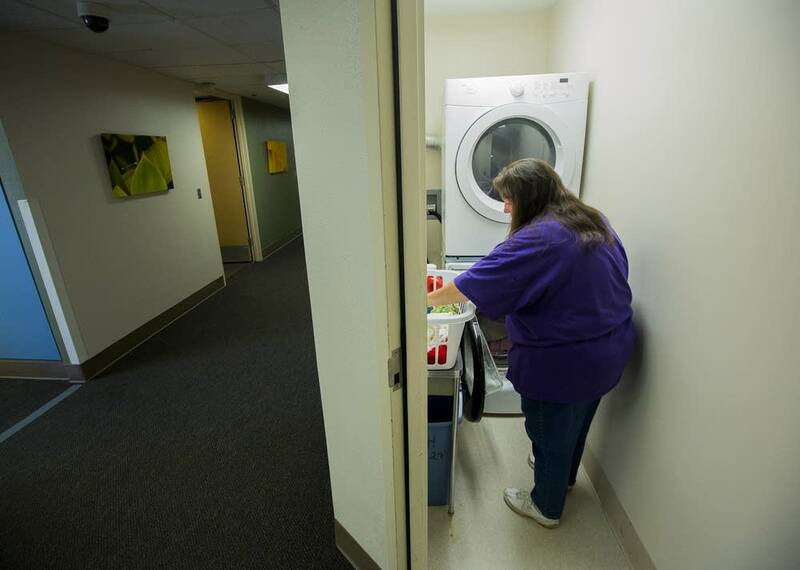 Clay County adult mental health worker Stacy Gullingsrud can spend much of her work day just trying to find a bed for someone waiting in an emergency room. Those patients sometimes end up wherever an open bed can be found, not necessarily where they get the care they need. "So they end up going to a placement that may not have the trained staff and then it can be a very short time, they're asked to leave again because they are not appropriate for the facility and then you start the whole process over again," said Gullingsrud. "Now you're looking out of town and they're further away from family, friends, the services they were connected with." A 2016 study by the Minnesota Hospital Association looked at 20 hospitals across the state and found nearly 1 in 5 psychiatric admissions, an estimated 134 people a day, should have gone to other more appropriate facilities, but none were available. At the "back door" of the mental health care system, workers say there is not enough housing for people released from a hospital or other facility that still need monitoring and support. Without that support, people can soon face another crisis requiring hospitalization. "If a person doesn't have housing or a supportive environment to live in, you can't address their mental health issues, you can't address a lot of the other issues that they're facing if they don't know where they're going to sleep that night," said Clay County mental health care worker Kirstin Wegenast. Minnesota has six 16-bed behavioral health hospitals. People from across the state also go to the Anoka Regional Treatment Center, and there are a mix of regional public and private facilities. 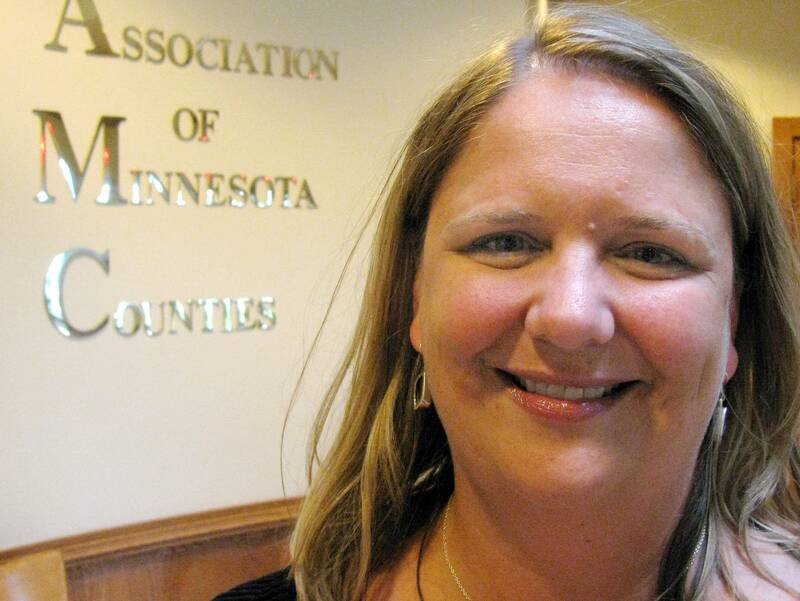 But Julie Ring, executive director of the Association of Minnesota Counties, said the system is inefficient and doesn't meet the growing demand. Counties often spend thousands of dollars to keep a patient hospitalized because there's no facility available to help them transition back to the community. "The way we're spending this money isn't addressing the problem appropriately. So I think that's why it's risen to the top of many, many issues that county commissioners have to be concerned with," said Ring. Counties across the state have developed a variety of alternatives in an effort to solve the problem locally. "But ultimately, what we kept coming back to is we really need facilities. We need places where people can go when they're in crisis and to transition back to home," said Ring. 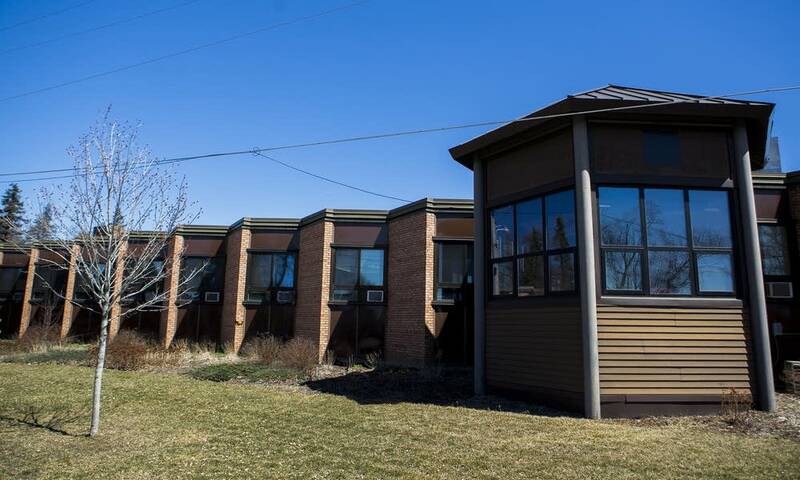 The Association of Minnesota Counties is asking all 87 counties to approve a resolution supporting the use of bonding for mental health facilities. State Sen. Dave Senjem, R-Rochester, agrees. The Senate Capital Investment Committee chair introduced legislation last year to use bonding dollars for mental health facilities and he expects the issue to have a lot of support at the legislature this year. Gaps in the mental health system are not a new problem, but Senjem said the frustrated voices are getting louder. "One can hardly go to a meeting and talk about current issues without mental health, behavioral health, coming up. We've got a crisis in Minnesota relative to how do we care for these patients," he said. As a starting point, Senjem is proposing $30 million for community triage centers to help keep people in crisis out of the emergency room, and $50 million for community based treatment facilities. Building an adequate full statewide system will take at least a decade, he said. Sue Abderholden, executive director of the National Alliance on Mental Illness-Minnesota, supports more mental health facilities, but she wants to make sure they meet the need. She's concerned building the wrong kind of facilities will exacerbate the problem. "Triage centers don't solve the problem if you have nowhere for people to go," she said. "And what we've seen in other states is that they've created a shiny new revolving door." Abderholden says the solution is a mix of community-based crisis homes, intensive treatment centers and supportive housing. "It isn't like there's something that we haven't thought of. We absolutely know what works," she said. Senjem said he just wants to start a conversation about addressing the problem. "This is a long-term journey, but unless you start, you never finish and it's really time to start. I mean we can't find a bed for an individual patient. It's that tight. We're down to nothing," he said.